Cannabidiol or CBD for short seems to be showing up everywhere these days. From health and beauty supplies such as topical creams and transdermal lotions all the way to make up and more CBD is becoming the in trend. Even multi-billion-dollar companies like Molson Coors, Coca-Cola, and others are eyeballing the cannabis-infused beverage space in particularly CBD infused beverages. The market for CBD infused drinks has substantially grown over the years in the United States. New York, Nevada, and California have numerous eateries and coffee shops where you can get all kinds of sweet treats and beverages infused with CBD. This trend is catching on and reaching across the United States and around the globe. CBD is starting to show up in corner stores and mall boutiques. Unfortunately, the world of CBD can be a little confusing at first. If you're looking for the purest CBD, you can find you will want to get your hands on what is called CBD isolate. CBD isolate is 99% pure CBD. It is refined removing all other phytocannabinoids and minerals. Typically, CBD isolate is derived from various cultivars of hemp. Hemp contains 0.003% THC or less. This means that it is virtually non-existent. Through processing and refinement most often times using CO2 critical extraction, CBD is removed from hemp and isolated completely. 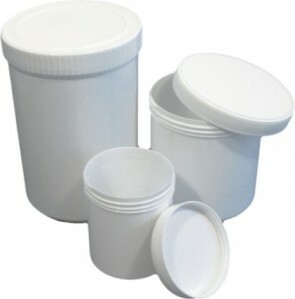 The end product results in a white powder. This powder can be utilized in a multitude of different methods of consumption. You can place it directly under the tongue where it can be absorbed sublingually. 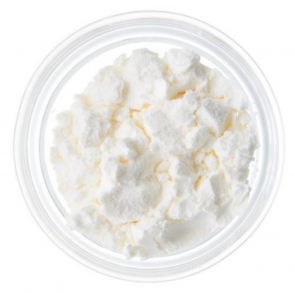 You can use CBD isolate as an additive to your favourite supplement. 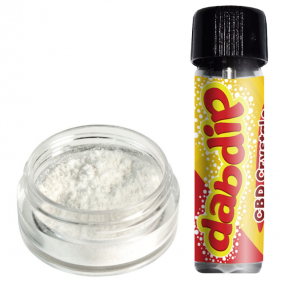 CBD isolate can also be vaped. As if that wasn't enough you can also cook with CBD isolate creating your favourite culinary delights. It can also be added to your favourite beverages as well. CBD isolate is extremely versatile giving you the power to choose the measurement that's right for you. CBD isolate has the benefit and gives you the peace of mind of having only 99% CBD in it. Full spectrum CBD products contain CBD as well as other phytocannabinoids and minerals from cannabis. For individuals who have a concern about passing a drug test or simply do not want to try delta-9-tetrahydrocannabinol AKA THC, CBD isolate is the way to go. CBD, unlike THC, is non-psychoactive. This means that it will not produce any intoxicating effects or get you high. CBD that is legal to be sold globally is derived from a variety of cannabis called hemp and not from the more well-known form of cannabis that is often referred to as marijuana. 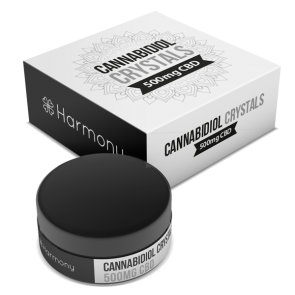 This means that when you consume CBD isolate you will be receiving a multitude of potential medical benefits from the CBD without the worry of intoxication that many other products that are extracted from cannabis present. Whether you are a seasoned consumer or are just learning about CBD, the best way to experience it is through CBD isolate.